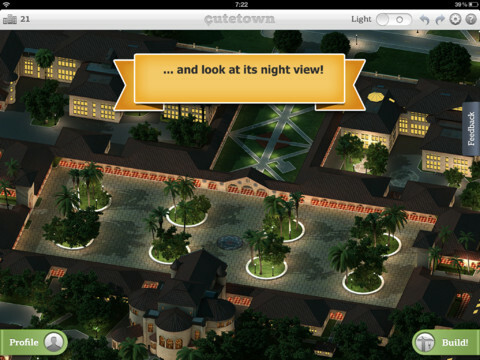 Cutetown San Francisco is an iPad app developed by Cutetown Ltd. 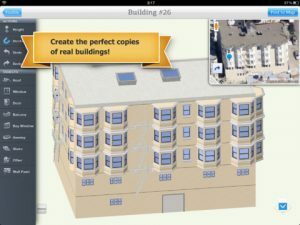 In this intriguing and complex iPad app, you are able to create realistic 3D models of real buildings in San Francisco. 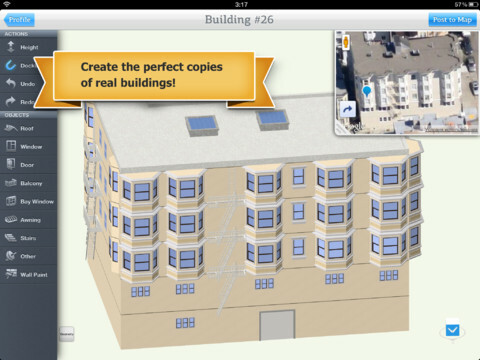 Think of this app as a high powered construction toy, the next evolution of city-building games. While it may be exactly be the “simple and casual” pastime advertised on the App Store page, it is an interesting app. All the models become a part of the app’s high-detailed comprehensible common map of San Francisco. It’s a way of crowdsourcing a 3D map, in a way. It’s a little hard to determine who the target market is for Cutetown San Francisco. 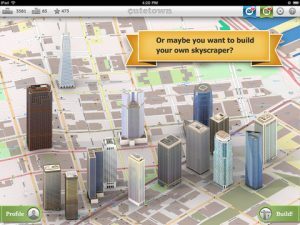 With a name like “Cutetown” and App Store claims that “you can play with it like a child plays with a construction set,” you might think that this app was aimed at kids. But it’s not exactly a game: the controls are demandingly precise, and building a model takes plenty of patience. You have to complete a pretty lengthy tutorial before being allowed to build more creations. It’s more like casual drafting than what’s offered in similar apps. The App Store lists this title as “Entertainment,” but your mileage may vary. Because of the precise, demanding nature of this app’s interface, it isn’t for fans of casual games. The controls are a bit finicky: Cutetown San Francisco is entertainment for Type A people. 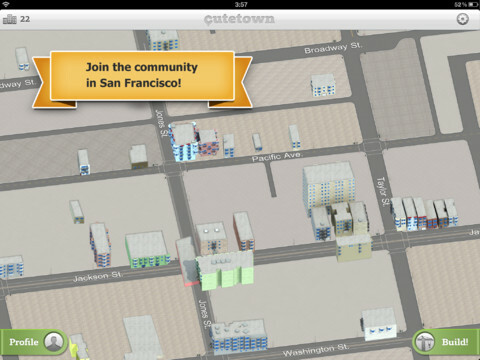 Cutetown San Franciscois compatible with iPad. Requires iOS 5.0 or later.